The civil war in Syria may be one of those things that some sinister Israeli historians will say was a "blessing for Israel" because it fully legitimized its taking of the Golan Heights from Syria, with even many of the Druze residents of the Golan glad not to be in the line of fire of Syrian rebels or regime forces. The New York Times reported that as Syria "reels," Israel is fully solidifying its hold on the Golan by expanding settlements. While some Israelis rejoice at the chaos in Syria, others look with dread towards the water, and not because of empty Hamas threats to push the "Jews to the sea." This time around, an adversary threatens to keep Jews from the sea. The Israeli intelligence community is working overtime to assess the threat that the Islamic State branch in Libya is increasingly poses to the safety of Israeli shipping in the Mediterranean. According to an expert familiar with the Israeli intelligence community, Yamam agents are not only likely just closely watching the situation on the ground in Libya, but also actively attempting to prevent threats to Israeli ships. 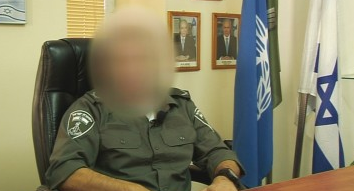 As Abreu Reported in September of 2014 in our article -- Israel's Counter-terrorism Police to Operate "Anywhere the Government of Israel Sees Fit" -- the Netanyahu government authorized the Yamam, Israel's special police unit, to not only carry out operations abroad, but to also "take command over military units when conducting certain 'sensitive' operations." According to a document leaked by renegade whistleblower Edward Snowden, Israel special forces were behind the sniper killing of "a senior Syrian military official who was a close adviser to President Bashar al-Assad." The operation was carried out in Tartus, where Russia has kept a naval base since its USSR days. Although operations may be carried out on the ground by Israeli Special Forces, it is the Yamam that is tasked with undertaking undercover police work. Further, the Yamam was designed to counter the exact kind of ship kidnapping scenario that the Islamic State is planning against Israeli cruise ships, and thus individuals in Libya involved in the planning or promotion of anti-Israel plots are threatened to be systematically taken out by Yamam snipers. General S; ordering the execution of IS militants in Libya? The fact that the Yamam is known in Israel for its secrecy, with even the identity of its top officer clouded in mystery -- identified by the Israeli daily Haaretz only as "Brigadier General S" -- has also helped it solidify its reputation with the Islamic State as a fearsome, unpredictable unit. Though it was the Mossad that would have been suspected by previous radical Jihadist organizations of involvement in every single bombing or suspicious death of a high-ranking terror operative, the Islamic State as of late is on the lookout for undercover Yamam operatives. Even Israeli observers have gone as far as to label the Yamam as a brutal "paramilitary organization in the service of the police." As Jews News reported on the 31st of January, there is a sniper taking out ISIS operatives in Libya, and "online discussion has centered on the theory that the sniper is a lone gunman from the nearby city of Misrata." These sniper attacks may indeed be the work of a "lone gunman" from Misrata, but the facts on the ground are that Israel has been preparing to carry out undercover operations in Libya since it authorized the Yamam in 2014 to carry out operations abroad with impunity. As ISIS continues solidifying its hold on the Mediterranean coastline with an eye on blowing up Israeli ships and kidnapping cruise ships full of Israelis, the Yamam will have plans for them. Barack Obama is currently being pressured by his aides to take military action in Libya, but the political chaos in the nation and absence of a plural government means that there's no legitimate authority to invite foreign troops. Obama doesn't want to embroil the United States in what could be perceived as yet another military intervention by US troops in a Muslim country, and the Italians and Germans are merely training soldiers in nearby Tunisia; an operation which, like the CIA Syrian rebel training program, will take time to put into motion and could even be an abysmal failure. Israel may feel that it has no option but to take stealth action in Libya in order to protect its national security, otherwise hundreds of Israelis may end up captive on an ISIS-boarded cruise ship.